Today in Masonic History Stephen Johnson Field passes away in 1899. Stephen Johnson Field was an American jurist. Field was born on November 4th, 1816 in Haddam Connecticut. He was raised in Stockbridge, Massachusetts. At the age of thirteen he traveled to Turkey with his older sister and her missionary husband. When he returned he attended Williams College in Williamstown, Massachusetts, graduating in 1837 with a Bachelor of Arts. After graduation he traveled to Albany, New York where he read law with a local firm before moving to New York City where he studied law further with his brother. After he passed the bar, Field and his brother David opened a legal practice together. In 1848, Stephen decided to head west for the California Gold Rush. Field moved to Marysville, California where, just three days after moving into town, he was elected alcalde. Under the Mexican law the alcalde was a mix of a mayor as well as a justice of the peace. Because of the remote nature of Marysville, transporting prisoners to San Francisco was too costly. There was no jail in town, so Field setup a whipping post feeling that this was a better option than seeing individual hung for minor crimes. 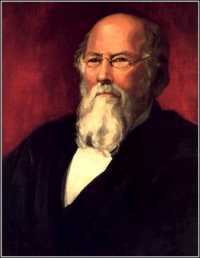 In 1850, Field was elected to the California State Assembly. The following year he ran for the California State Senate, losing the race. He continued to practice law in California and was placed on the California Supreme Court in 1857 where he served for six years. While he was on the California Supreme Court he had a special coat made which allowed him to carry a gun in both pockets of the coat and shoot from inside his pockets. There is no evidence that he killed anyone with the coat, he did have a duel with another Justice on the California Supreme Court. The two men did meet on the dueling field, although neither fired a shot. In 1859, Field became the Chief Justice of the California Supreme Court when David Terry, the sitting Chief Justice, killed the sitting United States Senator from California in a duel. Field would cross paths with Terry again some thirty years later. In 1889, Field ruled against Terry in a divorce case and found Terry in contempt of court. Seeking revenge, Terry tried to murder Field. Field's body guard, a United States Marshall killed Terry instead. In 1863, Field was appointed by Abraham Lincoln to the United States Supreme Court. Field wrote 544 opinions while he was on the court. He also helped to shape the court with some of those opinions. His opinion in Pennoyer v. Neff set the standard for the next 100 years on the court when it came to personal jurisdiction. Essentially this controlled whether a state had authority over a person who did not reside in the state. On racial issues on the court he is considered to have a poor record often writing opinions against rights for African-Americans. In issues for his home state of California he had a mixed record on Chinese immigrants at times ruling in favor of striking down anti-Chinese American laws and at other times writing opinions peppered with anti-Chinese-American language. Field stayed on the Supreme Court until 1897, despite his colleagues asking to step down. Toward the end Field was seen as going in and out of senility. At the time of his stepping down he was the longest serving member of the court. Today he is the second longest serving and wrote the second highest number of opinions. Field passed away on April 9th, 1899. Field was a member of Corinthian Lodge No. 9 in Marysville, California.